As PortNews reports, Suez Canal authority, headed by vice admiral Mohab Mameesh, has issued a circular signed by Eng. Ibrahim ElDesouky, charge’ de affaires of the authority’s locomotion dept. director, stating continuity working with circular number 4/1014 concerning granting Egyptian maritime units, which have internal navigation license and that transport containers from Port Said port to the hub port( East Port Said) and vice versa through the service channel, a reduction of 30% from the crossing dues for a second period that ends by 31/ 12/ 2018 . 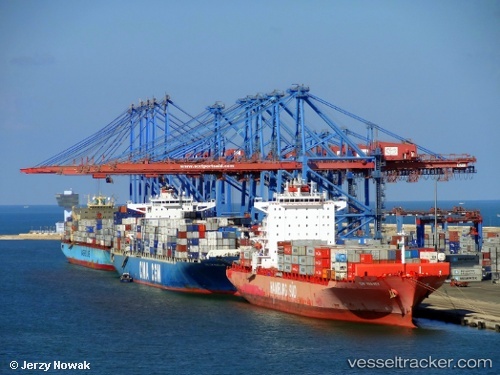 The circular has also pointed out that the reason after this reduction, extension for Egyptian maritime units, is to encourage containers’ transport from Port Said port to hub port ( East Port said) and vice versa through the service channel.